Why Endurance Health & Fitness Studio Essendon? Located in the heart of the Moonee Valley community, Endurance Health and Fitness Personal Training Studio in Essendon is conveniently located in the brand new 207-211 Buckley Street commercial complex. The boutique Essendon personal training studio and gym provides a community and family feel with a focus on exceptional health and fitness services through superior fitness programming. Come in and experience the new Endurance Health and Fitness Studio and speak with our caring staff today! Endurance Health and Fitness Studio is a boutique Essendon personal training studio and gym providing health and fitness services to the greater Moonee Valley community. Providing a brand new start of the art health and fitness studio, the Essendon gym provides exceptional health and fitness services through professional staff and superior exercise programming. The 250 square metre facility includes top of the range LifeFitness cardio and weights equipment, personalised cycle studio, fully equipped boxing studio, on-site sports therapist, professional personal training, luxurious bathrooms and showers and a range of enjoyable group fitness programs. Come in and experience the new Endurance Health and Fitness Studio in Essendon. A personal and spacious gym and personal training environment. What ever your goals, Endurance personal training in Essendon will get you there. Fully equipped Essendon gym with professionl personal training. Tune into your favorite show in our cardio area. All gym memberships include group fitness at Endurance Health and Fitness. Enjoy bike fitness with our many spin classes in Essendon. We create group fitness programs for the whole community. Enjoy cardio boxing classes in our Essendon boxing studio. We provide on-site remedial and sports therapy. We provide superior kids fitness programs in Essendon. Improve sports performance at Endurance Health and Fitness Essendon. Endurance Health and Fitness Personal Training Studio in Essendon provides professional services with a flexible range of membership options to suit family and community needs. Unlike regular gym memberships, our membership are inclusive of Personal Training sessions to get you the best results. 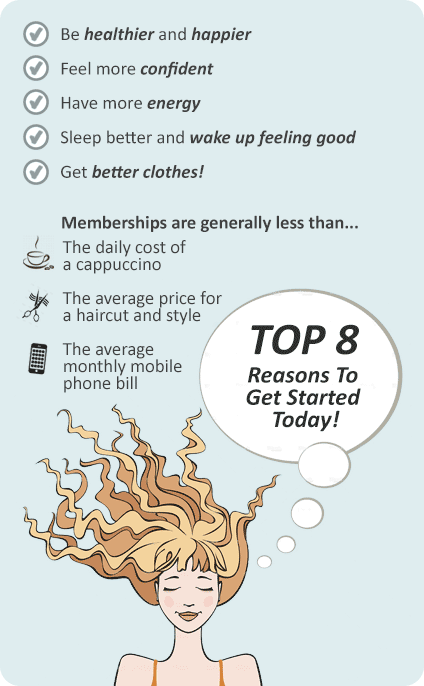 All packages have NO JOINING FEE!